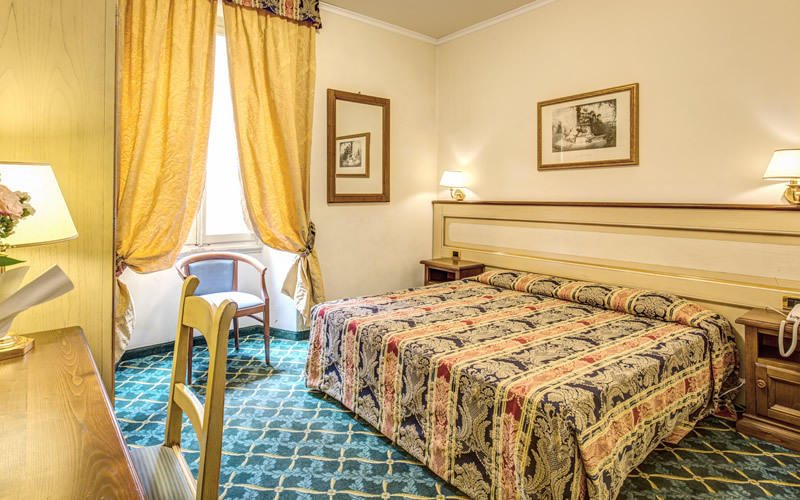 The recent refurbishment of the hotel was undertaken with great attention so that our furniture and décor take their inspiration from the classical beauty that this great city is known for. 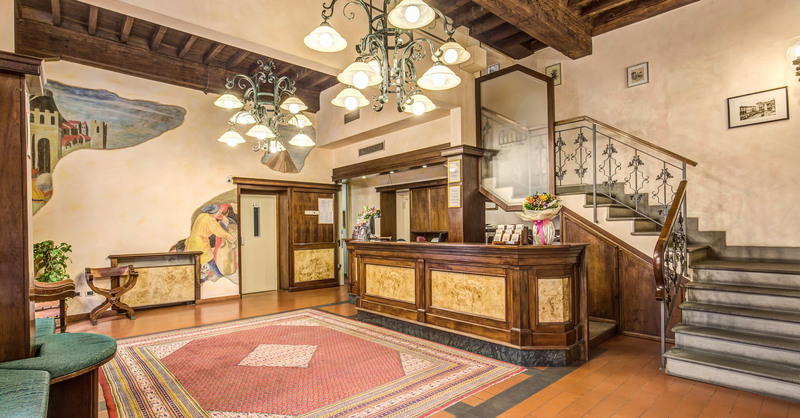 Our architectural design and colour schemes can be compared to the styles present in the historical monuments that surround the hotel. 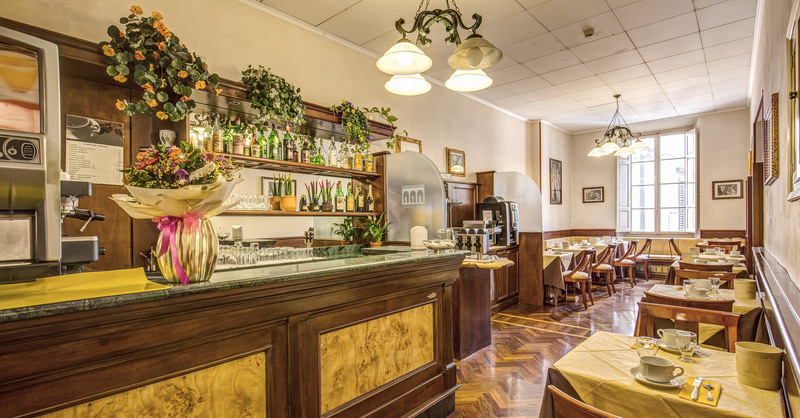 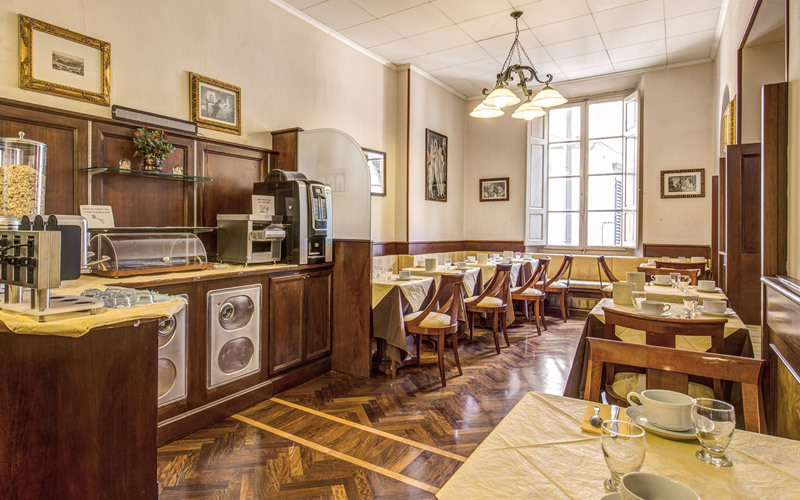 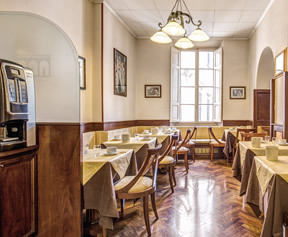 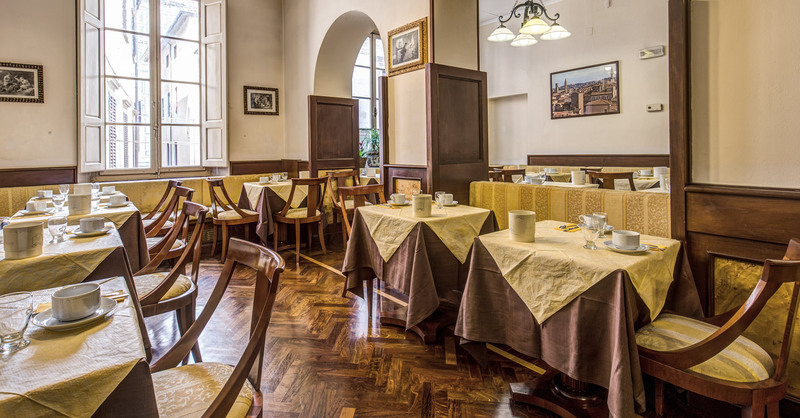 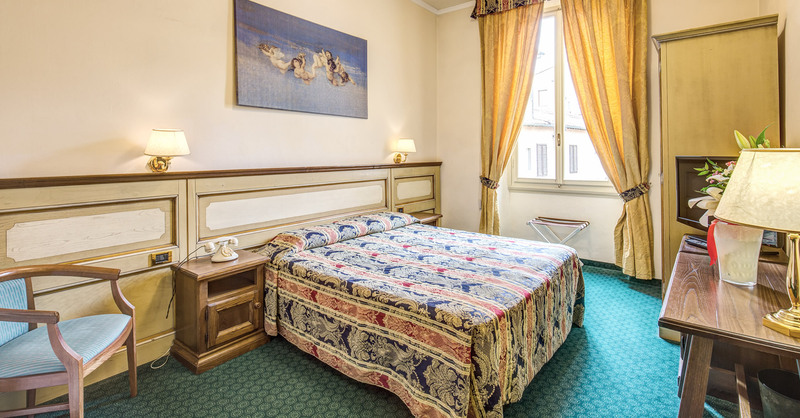 Our hotel is created to revive the romantic and enlightened environment of the classical Florentine house, that inspired locals and foreigners alike in the age of renaissance, when Florence was the artistic centre of the western world. 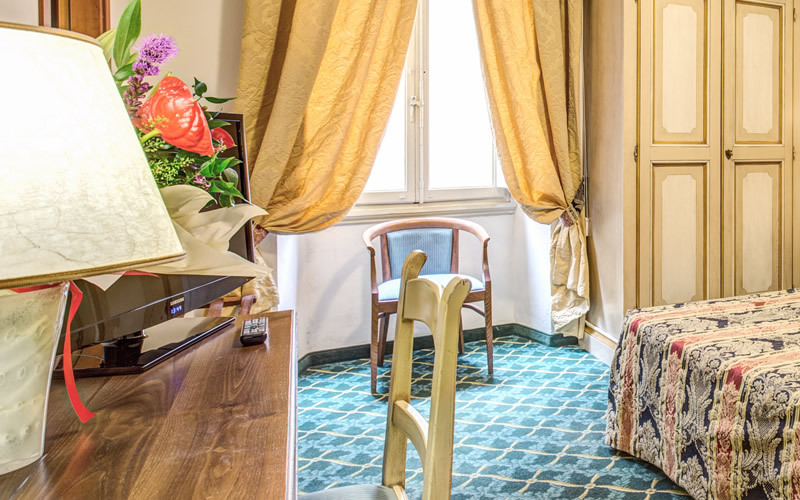 All our hotel rooms are not only furnished in the 16th century Florentine style, but are also equipped with 21st century amenities. 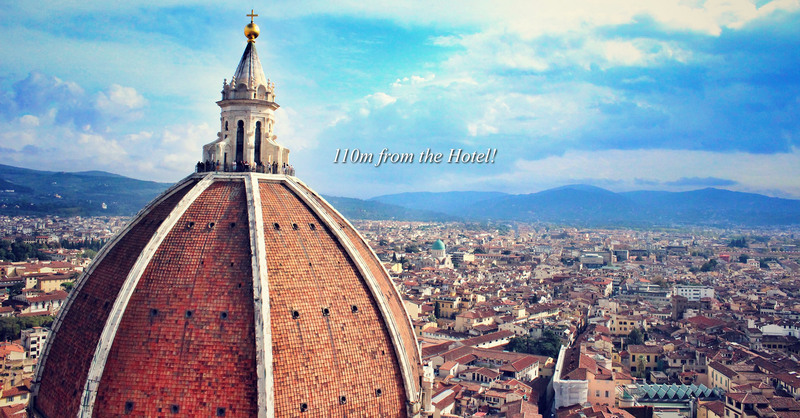 Our location is also a great advantage for our guests when visiting the sites Florence in famous for. 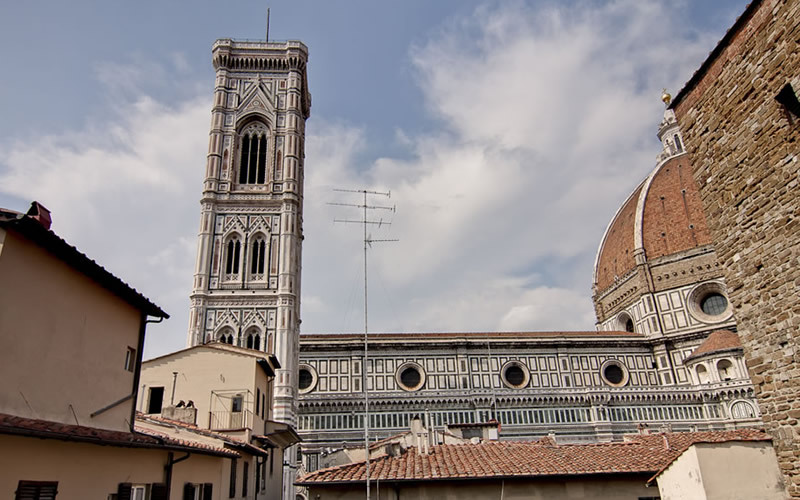 We are a stones throw away from the main squares of Florence, the Piazza dell Duomo and Piazza della Signoria. 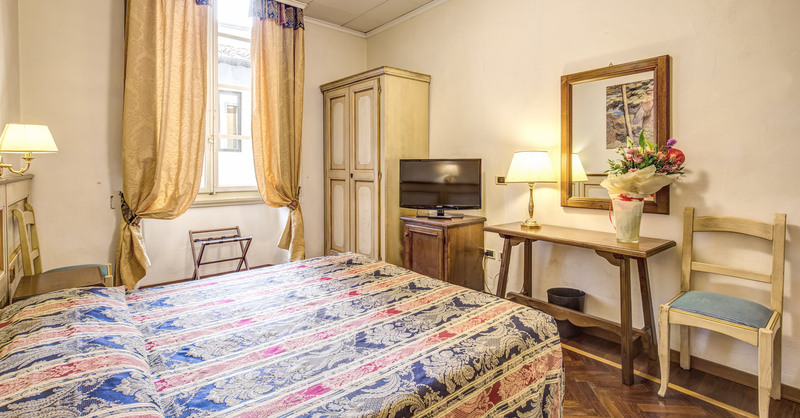 The Ponte Vecchio is two minutes walk, as is the world famous Uffizi Gallery, as well as the most prestigious shopping district in the city and the exhibition centre. 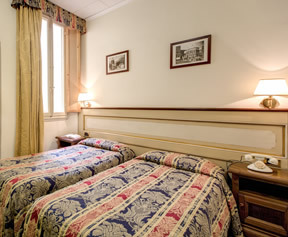 Even upon your arrival we are well placed just a few minutes walk from the central train station. 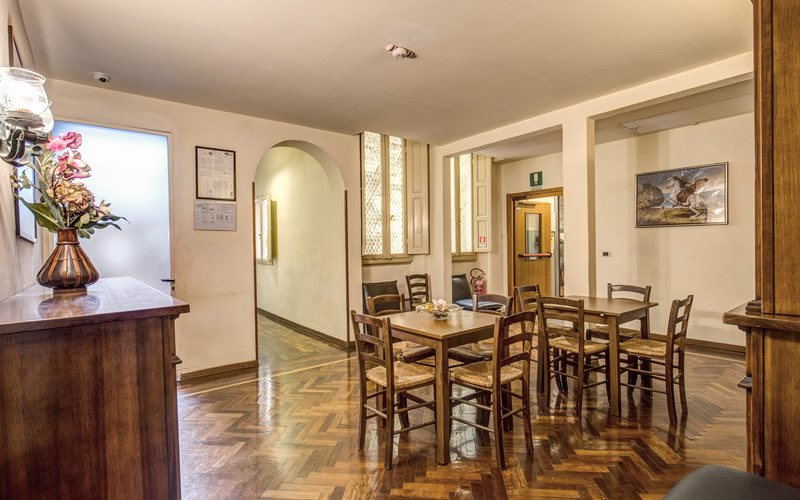 The application for funding submitted relates to the energy requalification of the building and of the facilities used by the accommodation facility. 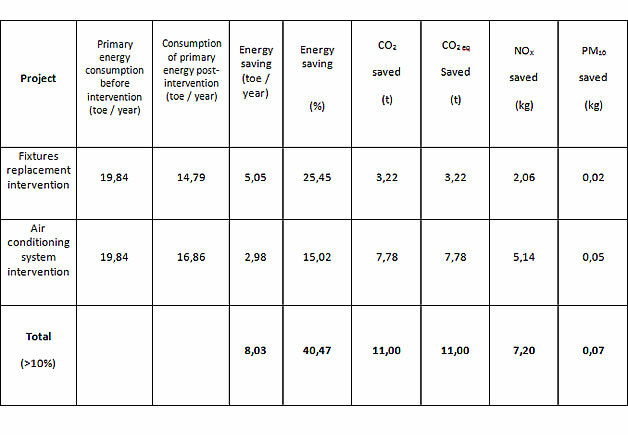 In particular, attention was paid to systems for the heating and cooling of rooms and the introduction of a photovoltaic solar system. 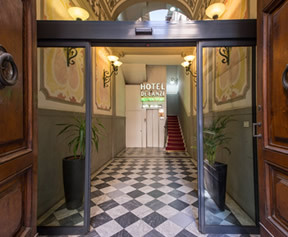 The investment presented in the announcement provides for a cost of € 188,241.80 and a non-recurring contribution of € 75.296,72.